Do you deal with the threat of Uninsured / Underinsured Motorist stacking in your state? Nevada law authorizes auto insurance companies to avoid stacking their uninsured / underinsured motorist coverage. But before a court will enforce a policy’s anti-stacking provision the company must meet three requirements. See Neumann v. Standard Fire Ins. Co. of Hartford, Conn., 699 P.2d 101, 103 (Nev. 1985). (3) The insured cannot have paid full premiums on each of the separate risks covered by the policy. If the statute’s requirements are not met, the insurance company’s anti-stacking provision will be considered void and unenforceable. In other words, the court will force the company to stack the coverage no matter what the anti-stacking provision may say. Ippolito v. Liberty Mut. Ins. Co., 101 Nev. 376, 705 P.2d 134, 136 (Nev. 1985). The issue of whether the policy language is sufficiently clear and the provision is prominent enough is a question for the court. Allstate Inc. Co. v. Clemmons, 742 F.Supp. 1073, 1074 (D. Nev. 1990); Serrett v. Kimber, 110 Nev. 486, 489, 874 P.2d 747 (1994). Many Nevada Supreme Court opinions have confirmed a trial court’s determination that the clarity and prominence requirements of the statute were satisfied as a matter of law. Nationwide Mut. Ins. Co. v. Coatney, 118 Nev. 108, 42 P.3d 265 (2002); Serrett v. Kimber, 110 Nev. 486, 874 P.2d 747 (1994); Bove v. Prudential Ins. Co., 106 Nev. 682, 687, 799 P.2d 1108 (1990). It may be possible to convince the court that the policy provision satisfies this requirement by comparing language in the subject policy with the provisions approved by other courts. As with the first two requirements, the insurance company has the burden of proving that the insured did not pay a full premium for each covered risk (vehicle) on the policy. Bove v. Prudential Ins. Co., 106 Nev. 682, 687, 799 P.2d 1108 (1990). It is this third prong that insurance companies have the most trouble with. Even so, many courts have ruled as a matter of law that an insurance company’s premiums meet the statute’s “no full premium per risk” requirement. Jacoby v. GEICO Gen. Ins. Co., 3:11-cv-0307-LRH-VPC slip op. at 5 (D. Nev. Aug. 20, 2012); Farmers Ins. Co. v. Lawless, 680 F.Supp.2d 1238 (D. Nev. 2010); Allstate Ins. Co. v. Clemmons, 742 F.Supp. 1073 (D. Nev. 1990). Convincing the court that the company has met this third requirement takes an in-depth understanding how premiums are set. The attorney who wants to prove that the company didn’t charge full premiums for each risk should understand the administrative ratemaking process and the actuarial processes that go into setting UM / UIM premium rates. What are the loss costs? How were those derived? What base rate resulted from those costs? What factors did the insurance company consider in setting base rates? Where and how were the multi-car discounts factored in? What other discounts were applied? What would be the estimated premium rates if the multi-car discounted rates had not been used? If the attorney representing the insurance company does not understand these steps, he or she will be less effective in teaching the court that the insured did not pay a full premium for each of the risks (vehicles) on the policy. 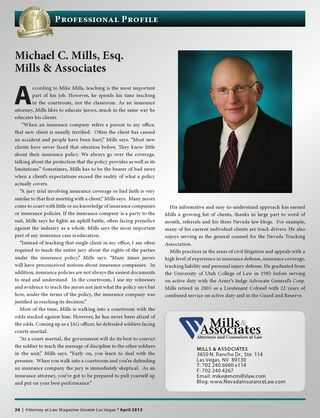 Mike Mills is not an actuary but he understands the steps that an insurance company goes through to set premiums. He is well positioned to explain to the court the administrative and actuarial steps that the insurance company took to apply its multi-car discount rate to a particular insured. If you have questions regarding UM / UIM stacking, contact Mike Mills at 702-240-6060 and he will be glad to speak with you. UM Subro? Yes! UIM Subro? No. Mr. Mills practices in the area of civil litigation and appeals, with particular experience in matters involving trucking liability, insurance defense, insurance coverage, premises liability, products liability and defense of personal injury. Mr. Mills is a member of the Trucking Insurance Defense Association, the Defense Research Institute Trucking Committee and the Nevada Motor Transport Association. Mr. Mills is licensed to practice before the Nevada Supreme Court and the Utah Supreme Court. He is also licensed to appear before the United States Supreme Court, the U.S. District Courts for the Districts of Nevada and Utah, as well as the U.S. Court of Appeals for the Ninth Circuit. 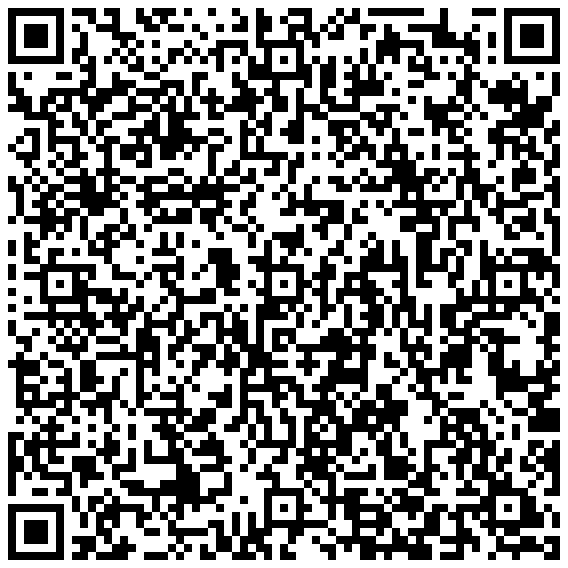 Mr. Mills has created 3 Blogs for the benefit of the insurance industry. 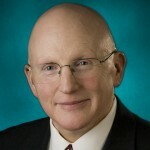 He serves as editor and publisher of the Nevada Insurance Law Blog, the Nevada Coverage and Bad Faith Blog and the Nevada Trucking Law Blog. About Publisher Michael Mills, Esq. Don’t miss future updates from Nevada Insurance Law!